The Luthier Anniversary model of Alhambra Guitars is an extraordinary guitar built with ziricote on the sides and back, which gives it a strong aesthetic personality. The beautiful and exquisite ziricote wood perfectly worked and assembled in the body of the guitar, together with the bubinga used for the binding, endows the Luthier Anniversary model with an unusual beauty. 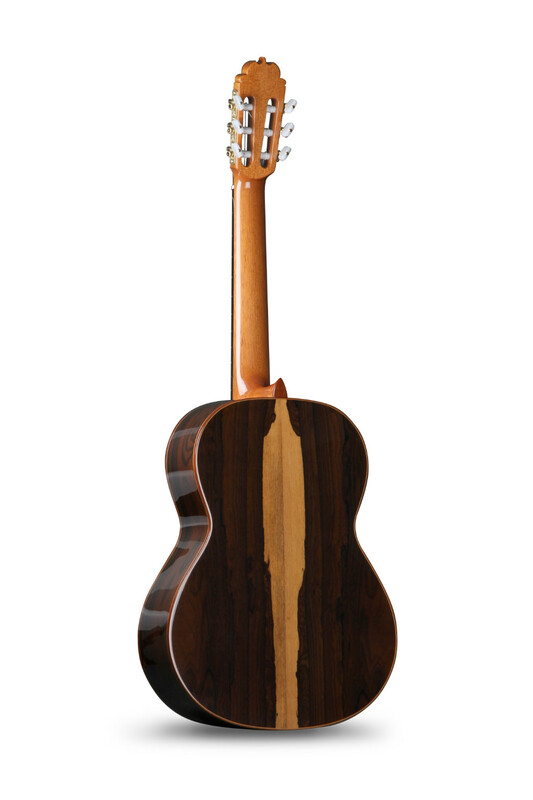 Different brown tones of the veins of the wood, which forms an infinite number of contrasts in the body of the guitar. Some natural drawings that define totally unique guitars. Exclusive guitars. The Luthier Anniversary model is designed with 20 frets in the fingerboard, cedar top with nitro lacquer finish and high-end Schaller Grand Tune Classic Hauser machine heads. 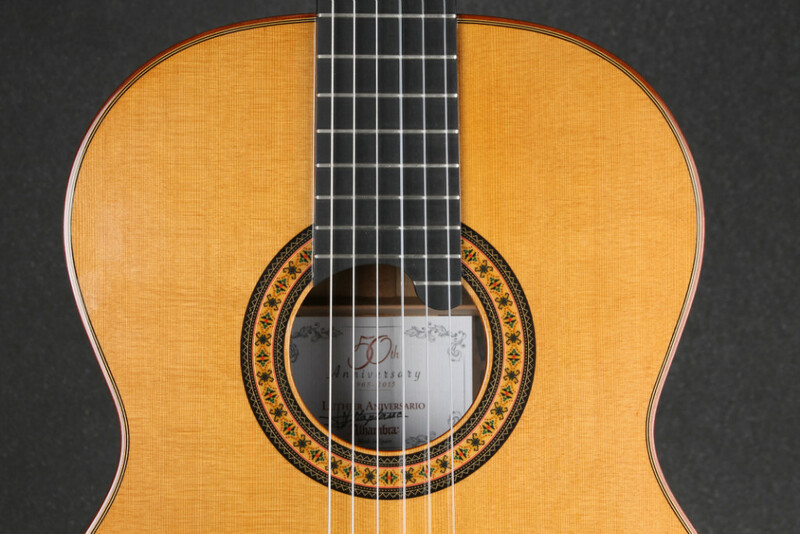 The innovations made by Alhambra guitars and applied to this instrument have allowed to obtain a comfortable guitar capable of surprising in large halls. 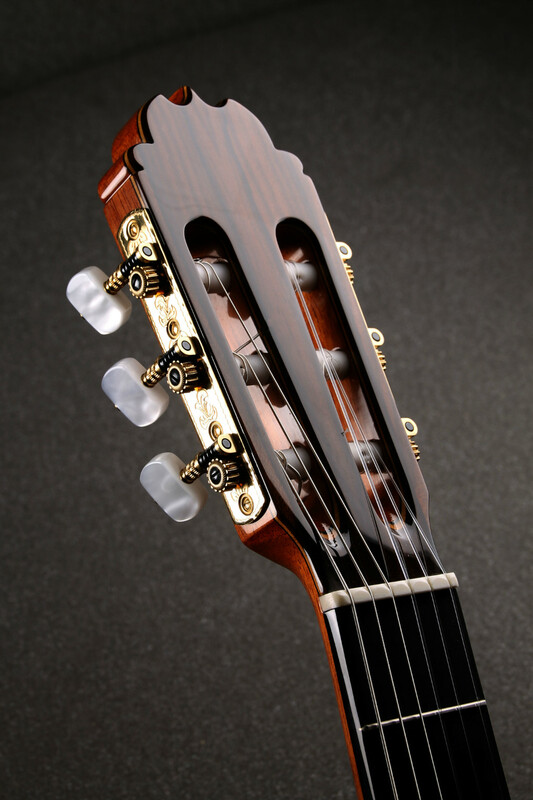 Its comfortable neck will help the guitarist feel agile and safe in any position, even in the most risky jumps. 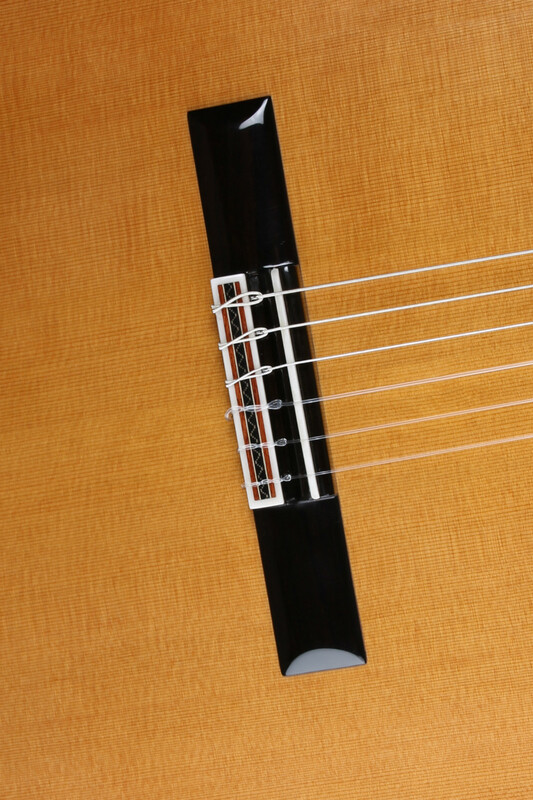 The construction technique applied to this instrument, together with a perfect adjustment of all its components, has managed to have a comfortable and effective pulsation at any level of sound power. Its harmonic richness combined with the precise tuning, make this model a perfect ally for professional guitarists who want to present their acting virtues in any auditorium or concert hall. The use of ziricote wood, together with a harmonic bar design called "Japanese House", gives the Luthier Anniversary model a different sound and great beauty. 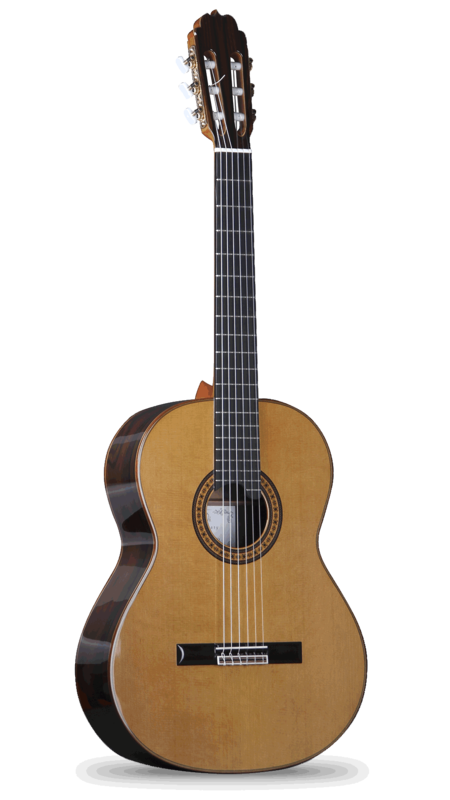 Besides its exceptional volume offers a lot of security to the interpretation of the guitarist. 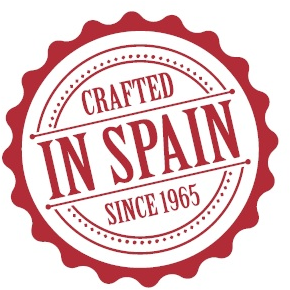 *We reserve the right to change, at any time and without prior warning, the specifications of any product illustrated on this website.